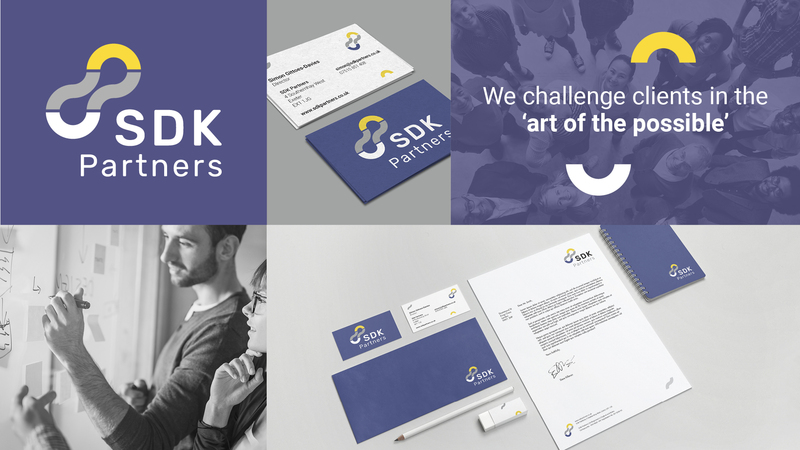 SDK Partners are a team of experts in the fields of organisation and people development, financial sustainability and rapid change and delivery. They operate out of Exeter, Devon, but work all over the country to challenge themselves and their clients in the ‘art of the possible’. Founded in 2016, SDK Partners is a growing management consultancy dedicated to adding value to the Public Services and wider UK Economy. They are focused on enabling successful change and increased effectiveness at pace, engaging and working with existing teams and people and ensuring a legacy of sustainable improvement. They came to us requiring a new brand identity and website that would give them an impressive new look that aligned with the principles of the company. The process began with a meeting with SDK in which we discussed their company values, the service they provide, who they provide them for, and a review of existing brands that inspire them. Understanding a client’s needs and vision at an early stage is crucial to developing a successful brand identity. Working on themes that encompassed SDK’s professional and empathetic approach we designed a brand identity that gives them an established and trustworthy look. The logo is comprised of four interlocking parts that can be also used singularly. These elements represent SDK’s ability to restructure and reorganise the operational arrangements of their client’s company’s. 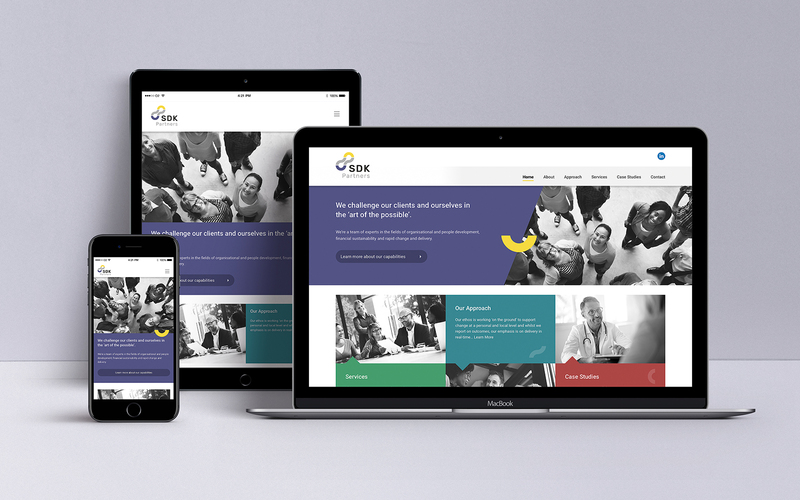 SDK’s new website utilises the complete colour palette we developed, and elements from the logo to create an engaging and interactive site, which is optimised for viewing on devices of all shapes and sizes. If your business needs a brand identity and complementary website we would love to hear from you. Call 01803 295 959 today to speak to one of our designers and find out how we can help you.